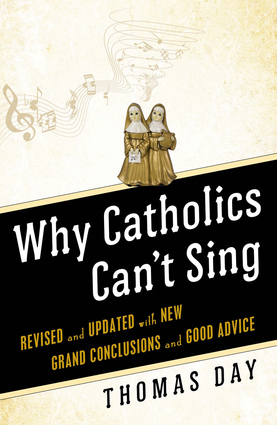 In this informative and entertaining critique of music in the Catholic Church, Thomas Day outlines a stinging indictment of the influence of popular culture on American Catholicism, particularly as expressed in church music. Taking aim at the Irish-American repertoire of songs that overwhelms Catholic music in America, Day assails the secularization of liturgical practices that began, in the author’s view, with the Second Vatican Council in 1962. And while targeting the demise of services, Day remains optimistic, offering several key solutions to revitalize and nurture the latent vitality that remains among the parishioners of the American Catholic Church. Thomas Day is the chair of the music department at Salve Regina University where he teaches music and humanities courses. He is an active composer and member of the American Guild of Organists, the American Musicological Society, and the College Music Society, and is the author of Where Have You Gone, Michelangelo? : The Loss of Soul in Catholic Culture. He lives in Newport, Rhode Island.